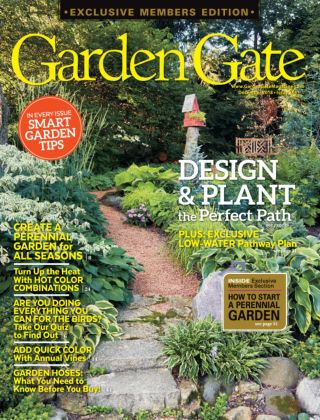 With Readly you can read Garden Gate and thousands of other magazines on your tablet and smartphone. Get access to all with just one subscription. New releases and back issues – all included. 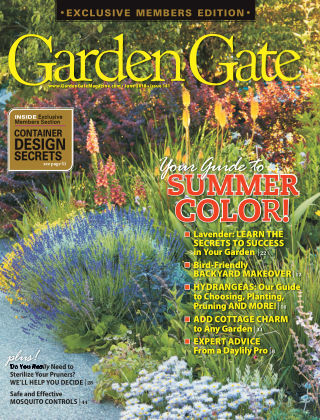 Discover Garden Gate magazine, the Illustrated guide to Home Gardening and Design. You'll find you CAN create the garden of your dreams! 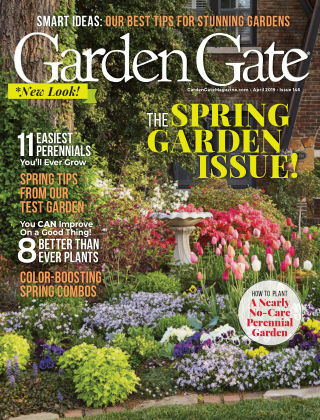 Every issue of Garden Gate magazine is packed with step-by-step, how-to help and the inspiration you need to create a gorgeous garden year after year. Most importantly, Garden Gate contains NO ADVERTISING to distract or get in your way! It's easier than ever with solutions like these at your fingertips: - The best plants for YOUR gardens. Learn how to grow all your favorite flowers, including perennials, annuals and bulbs, as well as trees and shrubs. And we'll introduce you to some new must-haves every year, too! - Gorgeous plant combinations and inspiring design ideas for beautiful beds, borders, container gardens and more! We guarantee you'll ooh and aah and find loads of doable ideas you can use right in your own yard. - Beautifully illustrated garden designs for almost every situation you can think of. Need to dress up your entry or add color to your shady backyard? We can help. Our detailed plans with easy-to-grow plants make it easy to solve most design dilemmas. - Solid how-to advice from experienced gardeners. 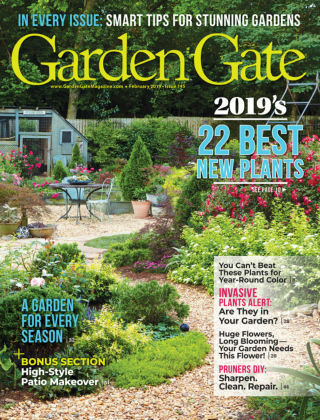 If you've ever been perplexed about when to divide, how to prune, whether to deadhead or which fertilizer you should apply, you'll want to check out our garden maintenance advice in every issue. Simple, step-by-step instructions on everything from planting roses to dealing with pests and weeds will take many of the questions out of gardening. - Simple time- and money-saving ideas for every part of gardening, from plants, to maintenance, to design. 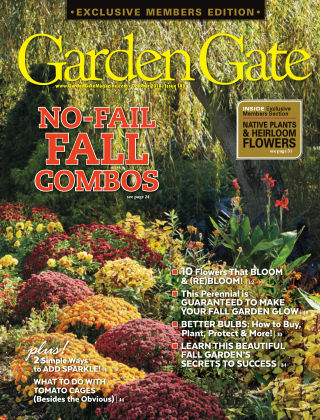 No need to break your back or the bank to have a beautiful garden with the hints and secrets you'll find in every issue of Garden Gate. - Time-tested ideas to help you bring in the wildlife you love to watch and keep out the pests you don't want. Want more birds and butterflies? We'll let you know exactly which plants are favorites in your region. Need to send deer packing? Find out which repellants and fencing options really work. - All this plus reader tips and questions a subscriber favorite in every single issue. And you'll never have to wade through ads to get to the good stuff in Garden Gate there are no ads! Can you believe it? 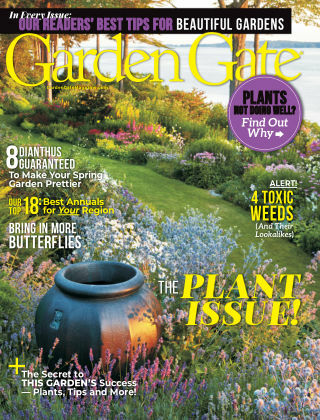 A magazine that's 100% gardening no advertising!